Athens.- Greece can become a model country and state, Prime Minister George Papandreou stated in an address to ruling PASOK’s National Council on Friday. At the same time, he stressed that achieving this required the forging of social alliances and the participation of ordinary citizens in order to succeed. The prime minister announced that the government will soon launch an official process of dialogue and consultation with the “social partners” (employer groups and trade unions) in a bid to establish a broad consensus and alliance regarding the government’s “road map” for reforms. “The fundamental principle of the alliance will be the respect of each toward others and of all toward the social whole,” Papandreou emphasised. Regarding the role to be played by the PASOK party, Papandreou said that its job would be to “inspire, guide and control” the government. He stressed that the roles of the party and government could and should be discrete, while at the same time complementing each other. He admitted, also, that relations between the party and past PASOK governments had not always been correct, in that the party had been sidelined and left inactive, or even become a tool in the hands of the state and those lusting after power. “We want to give power to the citizens and civil society, not cronies,” the premier underlined, adding that he would not allow this mistake to be repeated, nor convert the party into a go-between for transactions between the government and public administration. Instead, he promised a party that remained “more active, more dynamic, a workshop for producing democracy and participation, a party that is open, broad and innovative”. Commenting on the results of the October 4 elections, Papandreou described the result as “our first and greatest conquest as Greeks” in that Greek citizens had overcome “pessimism and scepticism”. “The people did not give us a mandate to simply manage power or to change faces [in government] but asked for a change in the direction of the country and a radical change in the method of government,” he stressed. Papandreou also stressed the government’s determination to carry out the promises made by the party before the elections, including the 100-day government programme, regardless of the pressures brought to bear by the European Union. The premier promised to wage battles at the EU against what he called “prevailing neoliberal attitudes” and a belief that the weak should be made to pay for the economic crisis, repeating promises for measures to support low and middle incomes. He stressed, however, that this support would be meaningless unless the government also put public finances in order, noting that these were now in a “unprecedented state”. The massive deficit created by the previous government was not inexplicable but had shot up due to practices like client politics, waste, lack of control and lack of transparency, the prime minister said. The government’s task was to put an end to such practices, starting by the introduction of transparency at all levels. Another priority in the effort to reform institutions would be measures to ensure political autonomy and end the dependence of the political system. Only a truly autonomous political system could put the interests of the many above the selfish ends of a few, the prime minister added. Papandreou additionally emphasised the need to curb waste in the public sector, citing the reduction of the state fleet of vehicles or the use of police to guard political figures as examples. The prime minister ended his speech by thanking the National Council’s outgoing secretary Yiannis Ragoussis, now a member of the cabinet, and announcing his proposals for the new secretary and Political Council members, which would not include any members of the government. The ruling PASOK’s National Council on Friday night elected Socratis Xynidis as the party’s Secretary, replacing current Interior Minister Yiannis Raggoussis. Xynidis received 180 votes (50 per cent plus). 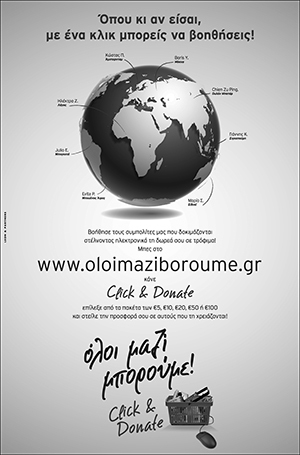 Next article Editorial: The Importance of Raising Awareness of "OXI DAY"